Long ago, I was told by people (whom I now like to call literary prudes) that self-published books become pariahs in the literary world. Their sales are tracked separately, they are not considered for popular awards or literary awards and the authors themselves are made to feel to as though they are poor country cousins of a literary world-beater. But, the countryside is beautiful folks! No? Then, why is it getting so crowded? 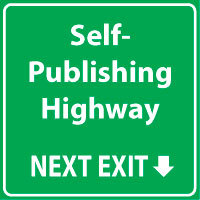 Whether it is the question of publishers setting up stand-alone self-publishing business units (eg: Partridge Publishing, the offering from the Penguin group) or media houses setting up award pools (Guardian’s monthly quest for the best self-published book in any genre), self publishing has become a phenomenon that cannot be ignored. Whether it is one rejection or twenty, authors refuse to be bogged down by it and have instead taken control. Authors are becoming unstoppable! Power to them, if you ask me. More and more people believe that it is really time for people to step-up and start self-publishing. Why? Because, YOU, will never make as much as your publisher for YOUR own work. So why not strive, invest and reap instead of somebody else investing and reaping with your strife? Even as I write this, an increasing number of main-stream publishers are unlocking their large vaults of knowledge and extending the power of their expertise (editing, cover design, marketing and promotion, pricing etc) to aspiring authors, for a price. And for authors who’d rather put their money on their brains than on a publisher’s ‘side’ venture, there is no dearth of opportunities. Whether traditional print mediums or electronic publishing, everything is just a matter of a few clicks or a few calls. You set the rates. Whether it is the price of the book or the royalty that you are going to earn out your work, you make all the decisions. This is both an incentive and a mental deterrence, if you ask me. There’s nobody to blame. Nobody except the self-publishing arm of a main-stream publisher (if you took that road) and he will tell you that you got your money’s worth. But, the good news is that you knew that already right? And, if your book was downloaded 500, 000 times, you did it all by yourself baby! ALL. In a traditional publishing deal, you give up the copyright of your work to the publishers. You need to negotiate hard if you want to retain at least some of the rights and you can’t really negotiate when you don’t have too much bargaining power, i.e, if you are the first-time author or if you are an author whose earlier books did not recover costs for the publishers. In self publishing, you get to retain all the rights; whether it is print or ebook rights, rights by geography or selling the rights to a potential filmmaker, it all depends on you and what vision you have for your book. No query letters, no endless waiting times, no follow-ups, no rejections, no squabbles with the editor on what juicy aspects of the plot you want to retain and what to edit out. It’s all your decision. Everything. You can acquire the coveted ‘published’ author status in a matter of hours, if you are going the e-book route. If you are going the print route, this might take a little longer. You have the freedom to publish anything that you want. Often books are rejected despite a fantastic premise, plot and language on the perceived seasonality of the subject matter. For instance, after the Twilight series, publishing houses were receiving too many ‘vampire-manuscripts’ but what if your vampire story is brilliant, a potential best-seller and entirely different in premise except for the fact that you chose to write about them, lamias? Self-publishing is the answer. Go ahead. Do it. That completes the list of 5 reasons. But here’s a bonus reason why you should consider self-publishing. Of course, yes! Writing, proofing, design, copy-righting, advertising, marketing and promotions, pricing and if you are going the print route – printing and distribution – from ‘manufacturing’ to ‘retailing’, you do it all. Congratulations, Author and Entrepreneur! Evaluate your strengths and weaknesses. If you, like me, don’t feel too confident about marketing your own work, try and hire a PR person to assist you. Ask around. Look around. You’ll surely find someone who can put together a good social-media campaign or a print campaign for you. Anything we’ve left out here? Do let us know by way of a comment. Nandika, it’s commendable to see that you’ve started writing as such a young age. There are plenty of tips that we’ve shared on this site. Hope you find them useful. Other than that, read a lot and write a lot. That’s the best way to learn. How you doing? Congrats to you nd Sameer on his second book. The last point-Hire a good editor. I need someone desperately. Apart from literary agents, if you can suggest the route to find a good agent or someone like you! (Though, I`ll be routing my work to you first, by next week). Thanks for your wishes. 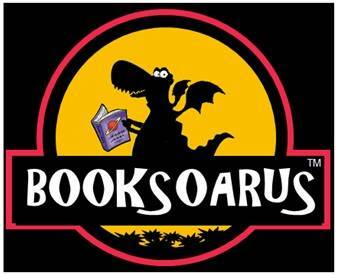 On the editing request, can you please send across an email with the details to: info at booksoarus dot com? I’ll check with Lavanya if she can take up the request. Hey Sameer and Lavanya, I want to go through the self publishing route through most probably Amazon’s KDP model. My book is almost complete.Also I have proof read, edited, formatted and have been doing this consistently. But I am getting stuck on one damn foot- cover design. I know for a good book cover, I do need a professional designer or someone who has a knack for these things. So could you provide me names or links for a good humble designer who can help me, especially in India as I have seen through the Internet that there are lots of people there in the U.S. who are willing to do that but then it would require me to shell out so many dollars and that can be quite expensive. Thank you for reading this and consistently helping us all. Take Care. Kudos on the big decision to self-publish your book! We don’t have any specific names to recommend, but you could reach out to book designers across the world via their websites. Many of them have a portfolio or covers and in some cases also ready-made covers that you can buy for a nominal price (inclusive of the rights to the images used). Heartiest Congratulations on your second book being published ! I am planning to get my mom’s work published. She has a lot of short fiction published in an Urdu magazine circulated in Mauritius about a decade ago. I want to bring all of them and more of her work together and get it translated to English and then published. Now, the first step is to get it translated and for this I’m trying to locate an Urdu to English translator. Could you help me find one? Hi Taiba, thanks for your wishes. I’m afraid I don’t know anyone who can help with the translation. Maybe you could try checking within your relative / friend circle to see if anyone can do it. i have completed my book. i need to know what could better happen with it. how could i improvise. what do i do next? I have been an avid follower of the interactions you have with newbie authors and I have found your posts to be very informative and helpful. I have a query. I have just finished writing a book. I am in a dilemma how to proceed from here. Should I contact literary agencies and publishers ? Although traditional publishing is what I have in mind primarily, I also know that publishers are not very kind to newbie authors. I shall be thankful if you can guide me. On the query about next steps, unlike in the west, Indian publishers accept manuscripts directly from authors. However, an agent could get you a better deal with a mainstream publisher. It just increases the number of steps and intermediaries though. If you are willing to be patient, then you could try out the agent approach first. An agent would want to know if you’ve already forwarded the proposal to any publishing companies directly. They’ll avoid reaching out to them again. The option of connecting with publishers directly is always open if the literary agent can’t place it. Here’s a post for some additional perspectives: Do you need a literary agent for your book? Thank you for your advice Samir. I am personally toying with the idea of approaching an agent, although I must admit that the Internet does create an intimidating picture of agents too, given that I am a first-time author. I have a few literary agencies in mind. Shall take that step first. Thank you once again Sameer. Hi Lavanya and Sameer, thanks for sharing your experiences with us newbies… I have written a novel but nobody is publishing it. I badly need story editing advice/services from a professional who can not only correct my story but can provide guidance so as to enable me writing better the next time. I have a few plots which are fresh too but after being rejected by almost all publishers, i am very disappointed. Could you please either suggest me a name or if you do provide such services. Though i am a 30 year old lawyer but am open to join a weekend certificate course, if it really helps. Please enlighten me with your expertise, i shall be grateful. Elsevier, Cambridge University Press, Oxford University Press, Taylor and Francis, Emerald Publishers, etc… I would like to know about outsourcing typesetting jobs given by your organization. If so, I would like to share my profile for your kind consideration and review. Also, I will be glad to process any sample material you may have to convince you of my capabilities. I would like to submit my book to a publishing house in India if you have some recommendations. Your website is useful. I have recently written and self-published a book “OUR HERITAGE REVISITED: A glimpse into ancient Indian texts”. Reviews from friends have genuinely been good – not for the beer 🙂 – but because several of them have bought 2-4 more copies from me for their friends. I have obtained ISBN nos. for both the ebook and the paperback. Ebook has been posted on amazon.com and pothi.com. Sale of paperback is presently with me but I am looking for distributers/ agents. Any suggestions or help you can render on the further steps? Further to my comment above, my self-published book is “Our Heritage Revisited : A glimpse into ancient Indian texts”. I have since made it available on Amazon sites across the world – the link in India is http://www.amazon.in/dp/B00YF1DOGM. It was a great experience, learning to put it up in Kindle despite the few Hindi words it had. And then the issue of the paperback in several countries. Since I have done everything myself, there were huge learnings and great fun that I have had in the whole process. Finally I need some outside help!!! I am now looking for someone to help with its marketing / PR. Where can I get a list of such agencies? I have just finished writing a novel in Urdu. It is online on a website and I have received excellent feedback from people. I am willing to publish it myself because the offers I am getting from publishing houses are too political. But How will I sale my novel??? I never thought of writing a book, neither did I read a lot of them. But being 25, and with a very upsetting past and a dreadful present, I suddenly decided to write something, specially for those like me, and for those who can avoid being in my position. I know absolutely nothing about writing. A little help amd guidance is what I need. Hello, I want to use a pen name, is it a good idea ? Really helpful Post. I am a first time author and am in a quandary myself about whether to go the self publishing or the traditional way. Lots to think about now. Thank you at first. I have recently concluded my first hindi novel. Please suggest the best and trusted names for self publishing. Do we need any special/legal publishing rights/permission in India to self-publish in India or worldwide for kindle?